Secondary liver cancer. 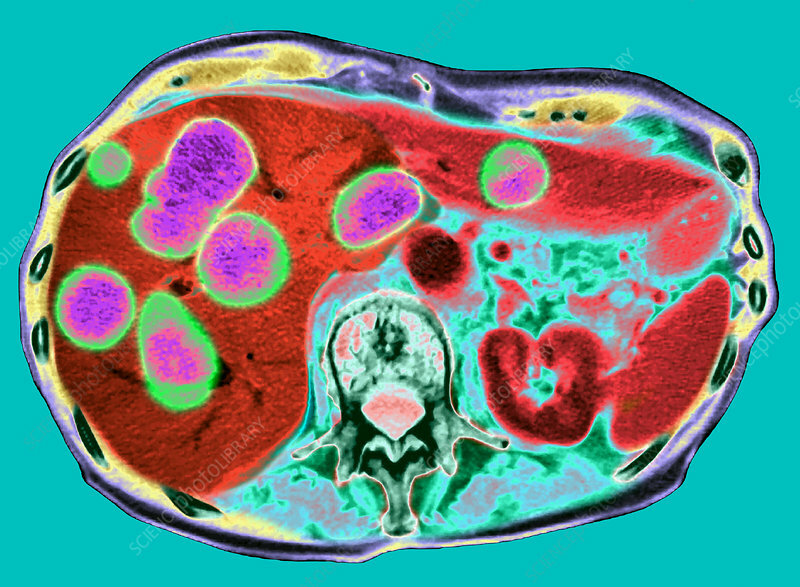 Coloured computed tomography (CT) scan of numerous tumours (purple and green) in the liver (red) of a female patient. These tumours have spread from a primary cancer elsewhere in the body. This spread of cancer throughout the body is known as metastasis. Once cancer has spread in this way, the prognosis is poor. Also seen in this scan is a vertebra (part of the backbone, dark green, lower centre) and parts of the rib cage (dark green ovals, around edges).